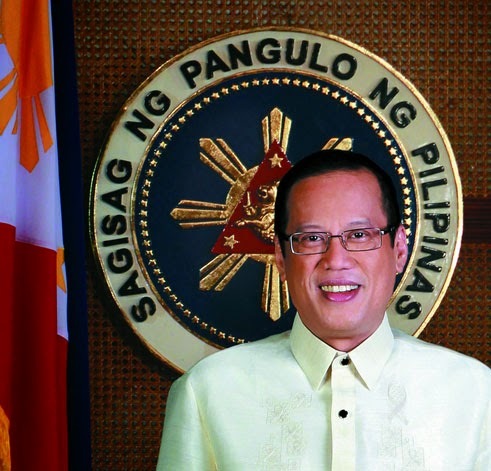 President Benigno Aquino III delivered a speech which was televised to the whole nation on Monday, July 14, 2014 to explain against the Supreme Court (SC) declaring that the Disbursement Acceleration Program (DAP) as unconstitutional 13 days before the speech. The president explained the previous state of the country back in June 2010, stating that corrumption in the budgeting system was endemic. He started with the 1.54 trillion pesos set aside to the government for the whole 2010 with only 100 billion or 6.5% remaining for the rest of the 6 months. PNoy also mentioned “anomalous” projects such as the dredging of Laguna Lake for which the government has to pay 18.7 billion pesos to, as he calls it, play with mud; and the GOCC which were operating at a loss but still gave away exorbitant bonuses to its officials and employees. The executive department allegedly cancelled anomalous projects, corrected the governance of GOCCs and ended all sleight of hand with the people’s money. He approved of the Zero-Based Budgeting- through it, only programs that would truly benefit citizens would be give funding. He then proceeded to DAP. “DAP is not a project—it is an efficient way of spending the budget; it follows the law and adheres to the mandate granted to the Executive Branch. We did this to properly allocate funds, and by so doing maximize the benefits that the people may receive,” he announced. PNoy questions SC’s stand and logic on declaring the “savings” only by 31st of December saying that it could be declared in the middle of the year, so new projects can start earlier and won’t be delayed by the following year. He also defended that DAP is actually legal contrary to the Supreme Court’s decision basing on Book VI, Chapter 5, Section 39 of the 1987 Administrative Code of the Philippines which states that “—Except as otherwise provided in the General Appropriations Act, any savings in the regular appropriations authorized in the General Appropriations Act for programs and projects of any department, office or agency, may, with the approval of the President, be used to cover a deficit in any other item of the regular appropriations…” This allegedly gives President Aquino the right to transfer the said “savings” to other projects he deems worthy. Moreover, unlike PDAF, which is funneled to fake NGOs; DAP does not steal the people’s money, rebutting the accusations on how DAP is just PDAF with a new name. The possibility that it is a vendetta against the president went through him- that he is being dared to act like such against the SC. Yet, he explained, that any lawyer would be against the idea because the Supreme Court has voted against DAP by 13-0 with one abstain and pushing through this will get them through great danger. He concluded then that DAP is good and the intentions, processes were correct. With critics on PNoy’s National Address, people concerned on the issue awaits his SONA the second following Monday, July 28, 2014. Quick Guide: Facebook SEENZONED Why There's no reply? !